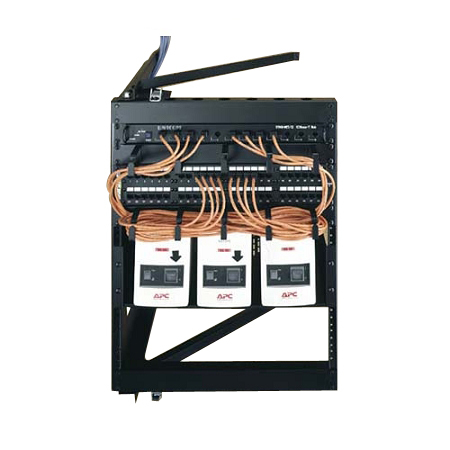 For an economical solution to make the best use of space when setting up network equipment, the SFR Swing Frame Wall Rack from Middle Atlantic fits the bill. 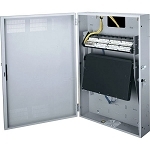 Built out of 14-gauge steel construction for strength and durability, this wall mount cabinet swings out for additional storage space whilst being compact. 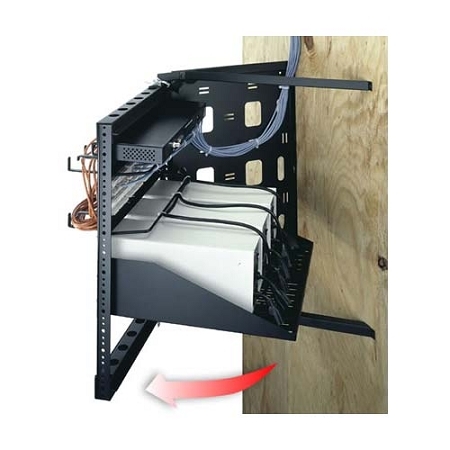 When mounted correctly, the SFR rack can support up to 100lbs. The rack rails are built out of 11 gauge steel and have RU increment markings for quicker installations. Able to pivot a total of 90 degrees, the Middle Atlantic swinging frame rack can open left or right to accommodate different locations and set ups. 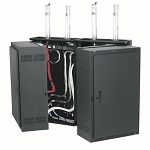 For cable management and routing, there are multiple cable-tie and pass-through points—hook and loop cable fasteners are also included with purchase. the "More Information" tab for additional product data.